My Sunflower State of Mind: It's Definitely a Girl! 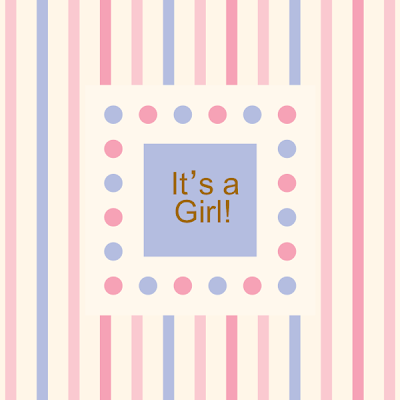 We FINALLY found out yesterday that baby is definitely a GIRL!! We are so excited to be having a little girl and we only have 10 more weeks until we get to see her cute little face and hold her in our arms! CONGRATULATIONS!!!! She's going to be so beautiful! awwww, isnt it just the best when you find out more about 'who' is in there? I found out as soon as I could ;) we were praying for a girl...couldnt resist to buy cutesy pink stuff. We are really excited for the life change and can't wait to be parents! 9 more weeks!